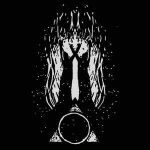 Genre/Influences: Dark-ambient, neo-folk, cinematographic, ethereal. Background/Info: The last new work of Arcana has been released in 2012, the members preferring to focus on other projects and a solo-career. “Petrichor” is not a new album and doesn’t announce the resurrection of this great Swedish formation driven by Peter Bjärgö. This work brings together ‘forgotten’ songs originally released on compilations and EP’s. Content: This album is an opportunity to (re)discover songs from the band EP’s “Lizabeth”, “Isabel”, “Body Of Sin” and “Emerald”, but it’s mainly a way to hear some rare stuff taken from compilations. 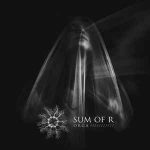 The sound and influences of Arcana remains of course faithful to their mix of dark-ambient atmospheres mixed with some neo-folk guitar play and the ethereal female vocals. Another fascinating aspect remains the epic/orchestral arrangements running through a few cuts. The band has been often compared to Dead Can Dance, which is a link I totally understand for the mystic atmospheres running through a few cuts, but globally speaking Arcana is darker and more ‘tortured’. 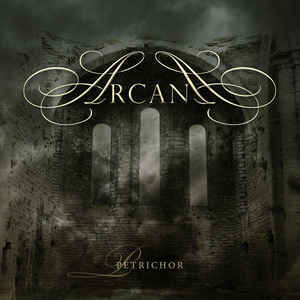 + + + : “Petrichor” brings Arcana back to life and I can only admit it’s a band I’m missing in the scene. Arcana was an artistic mix between different influences, creating a fascinating fusion between obscurity and reverie. I remain an admirer of the transcendental female vocals, but also the mysticism running through their work has been always an essential element to understand their success. Even if I don’t consider this album to be the most accomplished one, it however reveals a few moments of grace and music sonic beauty. The song “As Night Turns To Day” –which you might already have discovered on the album “The Extra Songs Of Arcana” (2014) is a beautiful piece of music leading you into a dark, but sweet reverie. – – – : It’s not what I should call the best work of Arcana and it’s maybe an easy way to release an album, but without new songs for the biggest fans of the band. Conclusion: You never know this kind of release would incite Arcana to write new stuff. That would be a damned good thing! Best songs: “As Night Turns To Day”, “Part I – II – III”, “Part IV”, “Eclipse Of The Soul”, “Intro”.